There’s always a danger with these outstanding Liverpool players that they might draw too much attention to themselves from Spain’s dominant duo. Roberto Firmino’s talent and impact has reached heights that usually trigger Reds to fear for a player’s future at the club however the Brazilian has gone some way towards putting the minds of fans to rest. He has pledged his immediate future to the club while touching on how much he is enjoying the football the team is playing this season. 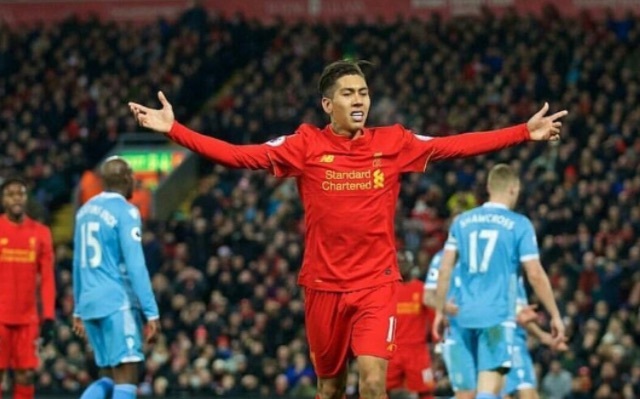 It has been hard not to be in awe of what Firmino has been producing on the pitch this season. He is unique in his own right with a touch of unpredictability that we never tire of. His link up play with Philippe Coutinho during the first half of the season was a joy to watch and unstoppable at times which is why we are so excited about seeing him be reunited with his Brazilian teammate. It appears his mind and heart is in the right place. A combination of this and his talent bodes extremely well for the club’s future.